Knitting a baby sweater is the perfect way to learn all the sweater techniques that would be necessary to knit an adult sweater, in a fraction of the time, and with a hopelessly adorable result! Our recently published Gramps cardigan is a perfect example, for while it is a relatively simple design, its simplicity requires a good number of intermediate knitting techniques. The tutorial split into 6 blog posts – start with #1 and work your way through! PS if you liked this, be sure to sign up to keep in touch, and we’ll let you know when new tutorials are ready! Hi Arra – The first marker is at the end of the front neck shaping on the right side of the cardigan, the second marker is placed at the start of the back neck, the third marker is placed at the end of the back neck, and the 4th marker is at the end of the front neck shaping at the left side of the cardigan. Does that help? Can you tell me why this gramps pattern which I purchased in January cannot be downloaded ? It has been removed it says access denied. The same has happened to patterns I purchased a year ago. Do you know who does this? Hi Ruth – sorry, I don’t know who does this, do you mean on Ravelry? Or from the email with download instructions? If you email us (tincanknits@gmail.com) we can sort it out. Puedes mandarme el patron en español? Gracias. Working on the size 0-6 month when I get to the of the increases on the yoke. The sleeves are two stitches short. I get 30 sts. Hi Anna – I would say go for the Flax, it has a few less techniques to it, but Gramps makes a great number 2! Love your gramps sweater pattern and yarn color combos. I am a bit intimidated to try this pattern. Is there a video knit-along or video tutorial? The catcha or gotcha portion of the sign-up process did not provide a send button option. It may get covered up by the red save/pin button at the bottom right of my phone screen. Please add me to your newsletter and video tutorials miling list. Please send links for your baby and adult sweaters and coatigans. Thank you so much. Any chance of doing sweater projects slowly from beginning to end? Please let me know or send links to your tutorials. I love the grandpa sweater and would also love to learn to make it along with a hoodie. I have not found your tutorial video for the grandpa sweater. Can you send it to me, please. Can you advise of a cardi and a hoodie knit-along video tutorial for eager beginners’ please? Also my mom would like me to knit or crochet a long vest and triangle shawl to take with her to the doctor. Can you recommend one of your video tutorials or tutorials done by someone else that you have found helpful, please? Thank you. Hi Amelia – I think it’s best if you email us to get signed up for our email list. Then I will be sure to have all the right info. I have the correct stitches 187 for three 18 st increases with a cast on of 33 BUT I have 17 stitches between the beginning and the first marker and 5 stitches between the last marker and the end. The pattern didn’t say when to slip the marker so I did all increases in front of each marker. 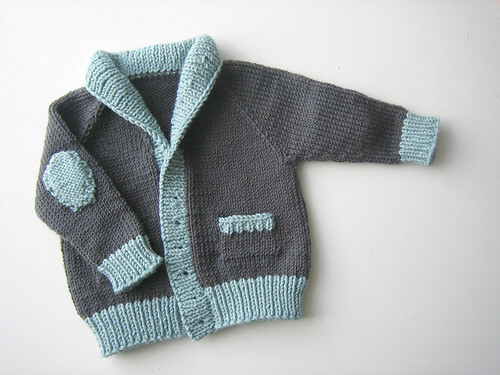 Hi, I bought 9 Months on Ravelry and am wondering if I can make a (baby) bodywarmer from this cardigan, i.e. leaving out the sleeves and add some edging to it. Thank you! Hi Elsje – that sounds totally do-able! Having such a hard time with the shawl collar, I’ve done short-rows before and I’m a fairly decent knitter, but I don’t understand the RS and WS , I’ve tried it twice now and both times I end up on the RS when I should be on the WS on the second short row. I have no idea what I’m doing wrong. Help! Having a really hard time with these increase stitches.. knowing where to put them and whether it’s M1 left or M1 right. Started over 3 times now. Hi JoAnn – I use a m1L at the neck edge, a m1R before the marker, a m1L after the marker, and a m1R at the other neck edge. Does that help? This is the most adorable pattern. I have two balls of Crazy Zauberball I’d like to turn into his sweater but it’s sock weight. Suggestions? Hi Susan – hold it doubled! Do a swatch, but I would use a doubled sock yarn to knit this sweater for sure. 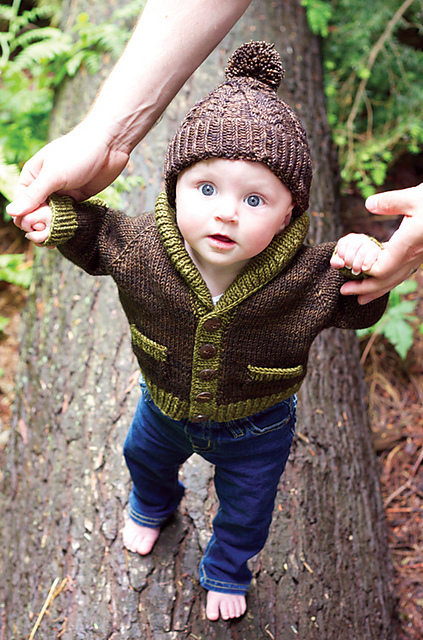 Hi Debbie- The Gramps pattern is sized from 0-6 months all the way to 4XL so it has all the sizes! Hi there, where can I get hold of the pattern? Hi. I’m on the short row collar shaping. I have to work to 3 st before the gap then w & t. What is the gap ? Hi. I am doing the 1-2 year size. At the beginning where it says to work rows 1-4 a total of 7 times for the 1-2 year size that I should end up with 159 stitches but you won’t. You will end up with 177. You end up with 159 if you works rows 1-4 6 times. So should I do it six times and end up with 159 or 7 times which will change total number of stitches going forward. Thank you. Hola! ! !me encanta éste modelo ya que tengo dos nietos de casi dos años, pero me gustaría que pusiera los puntos y los centimetros de cada parte del chaleco. Muchas gracias. Your tutorials on the Gramps cardi have been so helpful. Thank you for posting them. Great pattern, too, I can’t wait to see it on my son. Hi Cheryl – that means the right front and right neckline together should be odd, and the left front and left neckline together should be odd. Do you have a pattern to crochet this? Nope, just knitting for the Gramps! Are the sleeves part of the fronts or the back neck. where do you put the 5 markers? Do you only increase stitches on the back neck or also on the sleeve stitches? Hi Nellie – are you working on the collar? Or the yoke? There are only 4 markers…. If you are working on the yoke, there are 5 sections, the right front, the right sleeve, the back, the left sleeve, and the left front. There will be markers separating each section. 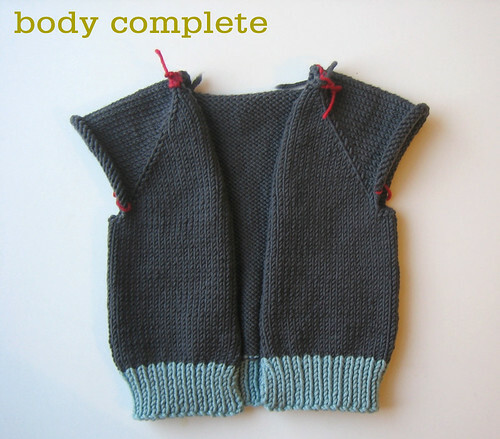 You are increasing on either side of the marker so on the fronts, sleeves, and back. If you are working on the collar, there is a marker at the right neckline (where you placed a locking stitch marker), start of the back neck, end of the back neck, and end of the left neckline (where you placed the locking stitch marker). You are doubling the stitches at the back neck only. Thank you. Think I got it. Can’t understand first row of pattern: what am I repeating 4 times: m1,k2,m1 which is really k2,m2. or is it k1,m1,k2,m1 for 4 rows? Also ,row 3 says “knit to last stitch,m1,k1.” If I knit to last stitch,m1, then where is the other stitch to knit? I am a knitter and have knit many items. I purchased this pattern for 9.79 (C)but am unable to follow the first 2 k rows so I doubt if I will be able to knit it. So disappointed.Hope you can help. Love the sweater but would prefer a pattern to knit from band up. Hi Eileen – You are repeating the bracketed instructions 4 times. So your first row you are knitting to 1 stitch before the marker, m1, k1, slip marker, k1, m1, then knitting 1 stitch before the next marker, m1, k1, slip marker, k1, m1 etc. Your make 1 should not use a stitch, try a make 1 (there is a tutorial on it here), that should clear up the row 3 issue. 😡 Thank you….now I know what the problem is! I’ve been trying to increase stitches by using a stitch and knitting into back of stitch. I had forgotten about increasing by this method which now makes m1 make sense! So on the pattern it just says M1 but doesn’t indicate what type of M1 been doing make one right before the marker and make one left after the marker which works fine until row 3 when you were asked to add another make one. Is there certain method that you suggest? Also the pattern that I have on the digital e-book does not indicate a provisional cast on but I see it in the above pictures so are we supposed to use a provisional? Hi Kelly – preference for m1’s is kind of knitters choice, I usually work a m1r before the marker and an m1l after. For the neckline increases I chose an m1l to start the row and an m1r at the end. I’ve loved knitting this and want to get the last bit right. I’d like to do German short rows as explained in your tutorial but can’t work out how to do it in rib. Is it possible? Hi again, well I kept thinking I must be wrong, too many successful projects, I looked and looked and eventually found I overlooked counting in the “two” in letters for the first size which took me to the 7th size! Problem solved, so happy, now I can continue ….. I love this pattern, it’s so cute. I’m making the 6th size for 6-8 years. Have done all the shaping on the yolk but where it says to work rows 1-2 one more time I would end up with 8 more stitches than the stated 203. Should this say 0 more times or should I end up with 211 stitches to make the sizing correct? Thanks for your help with this. Knitting sweater for babies needs an expertise to knit sweater in such way that it should look beautiful as well as it can save babies from winters as well. 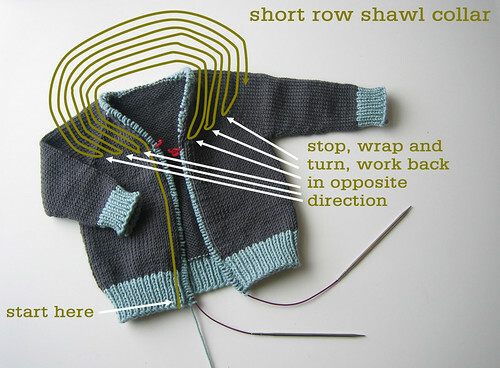 The techniques and steps mentioned here are really very effective and very fast which will help everyone during knitting a nice sweater for their babies very fast..
Great sweater. Going to try making it! May be a dumb question but I’m still new to knitting and this is the only thing I can’t seem to solve by googling in (lol). When making the button holes with the pattern, it says to turn work and CO 3 sts knitwise, then turn back and proceed to next buttonhole. 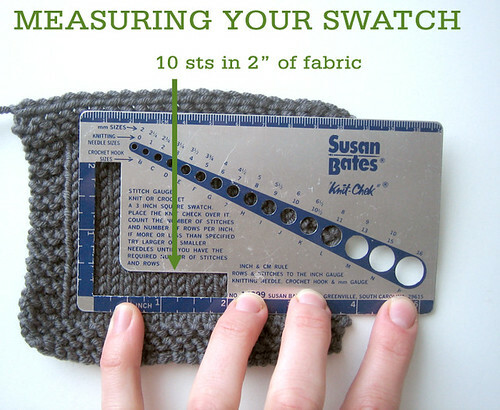 What does it mean to cast on knitwise? I just need the pattern. How can I get it? I don’t need the tutorial right now. I am so so frustrated. I am trying to begin the sweater and I am already confused. I did the set up row and then I began the next row and do not understand what I am supposed to do. The instructions say to knit to one stitch before the first marker. Then there is one stitch left. How do I knit to 1 st before marker, m1, k2, m1 when there is only one stitch. Thanks for your help. Do I do another row of ribbing (on wrong side) between the button band set up and ribbing rows and the short row collar shaping set up row A and B? Or do I start on the wrong side for Row A? I am at the set up row for the collar and band. I am not sure if I understand the kfb after the second marker. Does this mean that I will be increasing the stitches across the back of the neck? Do I kfb in every stitch or just the knit stitches of the rib pattern? Thanks for any help that you can give. Yep, you are increasing the sts across the back neck. Hello! I’m still confused on this one. I understand that I am to increase the Sts across the back neck. But, do I kfb and then pearl front back? Or do I kfb, pearl, kfb, pearl to the end of the back neck? Hi Ingrid – at the back neck it is just kfb to last stitch, no purls. Love the sweater. I have learned a lot. 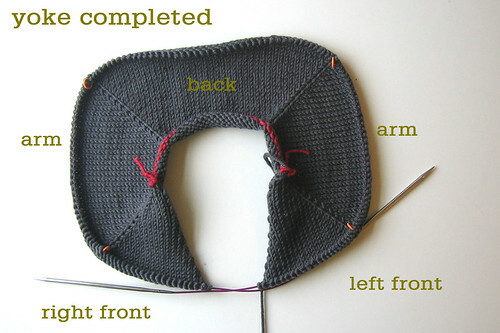 I am a bit confused with the knit 2 together bind off for the shawl collar. I don’t know if I’m reading too much into it Would you break it down for me? Thanks a bunch. You will be working a regular bind off up to this point, then across the back neck, you will be working a k2tog bind off. So you will have 1 stitch on your left needle, k2tog, pass stitch over, k2tog pass stitch over, etc. Is it possible to use a simple make 1 on the yoke increases instead of the k1r and k1l? Will this change the appearance and fit of the sweater? I love the Gramps sweater, but am having trouble with knitting the wrapped stitches in the collar. In following your tutorial, I get a rather noticeable stretch of yarn across two stitches on the wrong side which will be the visible side of the collar. I am an experienced knitter, but perhaps I am dong something wrong Any help will be appreciated. Thank you! Cindy. Without actually seeing your knitting it’s a bit tricky to tell. It might have to do with how you are wrapping your stitches, it would be worth a try to knit the wrapped stitch together with the stitch it wraps through the back loop. Thanks for the reply Alexa. I could have done something funky, but I have worked with short rows before with no problem. I also noticed this little stretch of yarn on the collar when I zoomed in on some of the Ravelry photos for Gramps. Maybe I’m being too picky! Anyway… I’m working on the theory that this is something that shows up on the WS when you knit the wrapped stitches. I’ve ripped out the short rows and am doing the turn and wraps on the WS this time instead of the RS, as the pattern indicates since the little stretch should now be on the collar side which is not visible. When will tutorials be ready? Sweater techniques parts 1-5 how can I get them? This is my first time on this website and am loving it. I know I will learn alot! Thank you so much! I wanted to say thank you for this beautiful tutorial along with the handsome baby boy, smile.